Contact your dedicated representative for details of current offers. 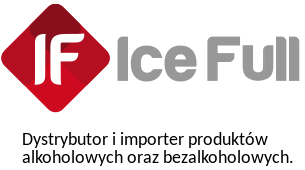 Wide range of alcoholic products proposed by the company “ICE-FULL” Sp. with o.o. will satisfy the needs of even the most sublime Customers. The offer includes wines from around the world, spirits and beers at very attractive prices. Alcoholic beverages, wines, beers, drinks and water – is a wide range of global products of global manufacturers and large international corporations.